Why Dawson Tire & Wheel? We have the large inventory you need. 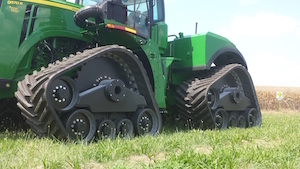 – Tires and wheels for everything from tractors, to combines, to air seeder carts with spacers and hubs to match. We’re your warehouse. 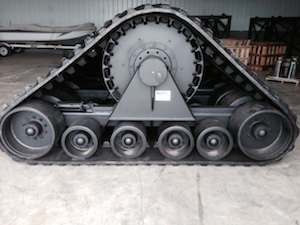 – You don’t have to carry a large inventory of tires and wheels; that’s our job. We make you look even smarter. – You’ll have the right answers to the toughest tire and wheel questions. We know Ag. – Because we live in the middle of it – With distribution centers in Nebraska, Indiana and Saskatchewan, we offer expedited delivery across North America. We help you turn equipment faster. 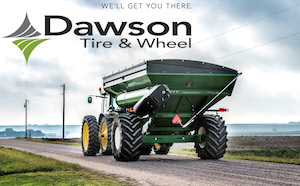 – Dawson will determine and provide the right tire to make your equipment palatable to 10 out of 10 buyers.